Hi! I’m Il Seon. I have stayed here for 2 months. I’m really, really and really satisfied with this academy. 안녕하세요! 일선입니다. 8주간 이곳에서 지내며 열심히 공부하였는데, 저는 정말 정말 세부스터디에서 만족스러웠습니다. 음식 – 사실 음식 걱정을 조금 했었는데, 이곳에서는 하루 종일 한식을 먹을 수 있어서 너무 좋았습니다. 특히 필리핀 현지 음식과 다르게 짜지 않아서 정말 좋았고, 식당의 청결 상태도 만족스러웠습니다. 매니저분들, 특히 Luke 매니저님은 정말 저에게 큰 도움을 주셨고, 덕분에 필리핀에 대해 조금 더 알 수 있었습니다. 다른 매니저분들 역시 항상 밝게 인사해 주셨고, 아이엘츠 시험 과정, 결과 등에서도 도움을 받았었습니다. 우리 학원을 지켜 주시는 두 분의 가드분들과 항상 청소해주시는 직원분들, 요리해주시는 모든 분들 역시 정말 친절하고, 잘 관리해 주셨습니다. 특히 Jeffery 스태프분은 항상 정말 해맑은 미소로 인사해 주셔서 정말 감사했습니다. 또한 저는 우리 학원의 시스템이 매우 만족스러웠습니다. 자유로움을 보장해주는 규정들과 1인실은 이 학원에 정말 큰 메리트라고 생각합니다. 한 가지 아쉬웠던 점이 단지 제 또래 친구가 없어서 심심했던 것뿐입니다. 그래도 정말 영어 실력이 많이 늘었고, 문화도 많이 배워 갑니다! Hi! I’m Ilseon. I have stayed here for only 2 months, but my English skill has improved!! I think the best thing in this academy is a lot of man-to-man classes. Now we have 4 man-to-man classes in one day. I chose not Canada but Philippines to study English because of man-to-man class. Most people choose the Philippines to study English because of money. 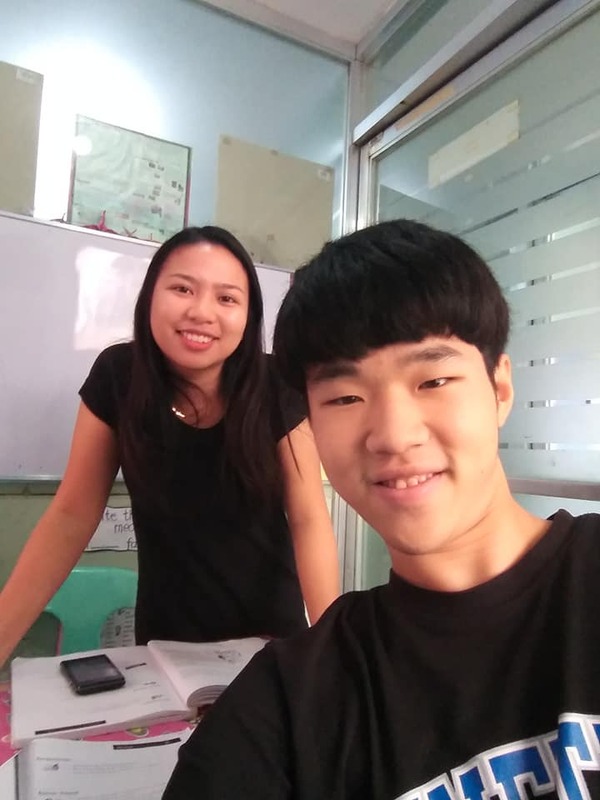 However, I think that taking one-to-one classes is more important and it makes studying English in the Philippines better than studying in other countries. I was really lucky because I met great teachers. I have studied with teacher Frank, Zam, Cenif, and Sophia for 2 months, and with teacher Shammy and Rhona for 1 month. They were really good! They are beautiful, handsome, kind, intelligent, and smart! I really thank you for all teachers, students, managers, and all staffs. (안녕하세요! 저는 일선입니다. 저는 이곳에서 2달을 지냈지만, 영어 실력이 많이 늘었어요!! 이 학원의 최고 좋은 점은 맨투맨 수업이 많다는 점이라고 생각합니다. 저는 하루에 4개의 맨투맨 수업을 듣고 있어요. 캐나다가 아닌 필리핀을 영어 유학 장소로 정한 이유는 맨투맨 수업 때문입니다. 많은 사람들이 그저 돈 때문에 필리핀을 영어 공부 장소로 정합니다. 그러나 제 생각에는 일대일 수업이 정말 중요하기 때문에 필리핀에서 공부하는 것이 다른 나라에서 공부하는 것보다 더 좋습니다. 저는 정말 운이 좋았습니다. 좋은 선생님들을 만났기 때문이죠. 저는 프랭크 선생님, 잼 선생님, 세니프 선생님 그리고 소피아 선생님과 2달을 공부했습니다. 그리고 1달 동안은 샤메이 선생님과 로나 선생님과도 공부를 했습니다. 그분들은 모두 훌륭합니다!! 아름답고, 잘생겼고, 친절하고 똑똑합니다! 마지막 괄호 안에 있는 문장들만 세부스터디 매니저가 영문으로 작성된 일선님의 글을 번역한 것이고, 나머지는 국문 및 영문 모두 일선 학생님이 직접 작성하셨습니다.